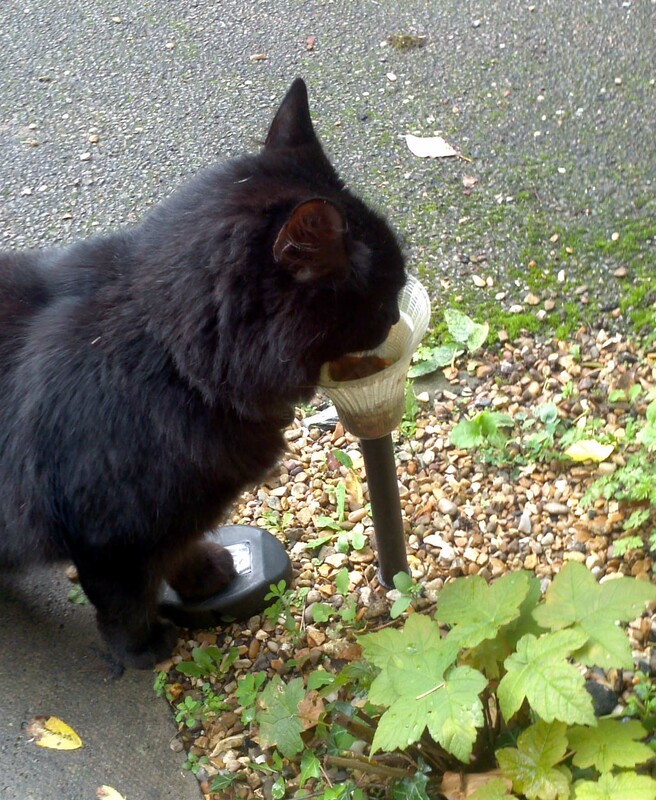 So the other day whilst messing around in front of the house I spotted our black cat Ode. 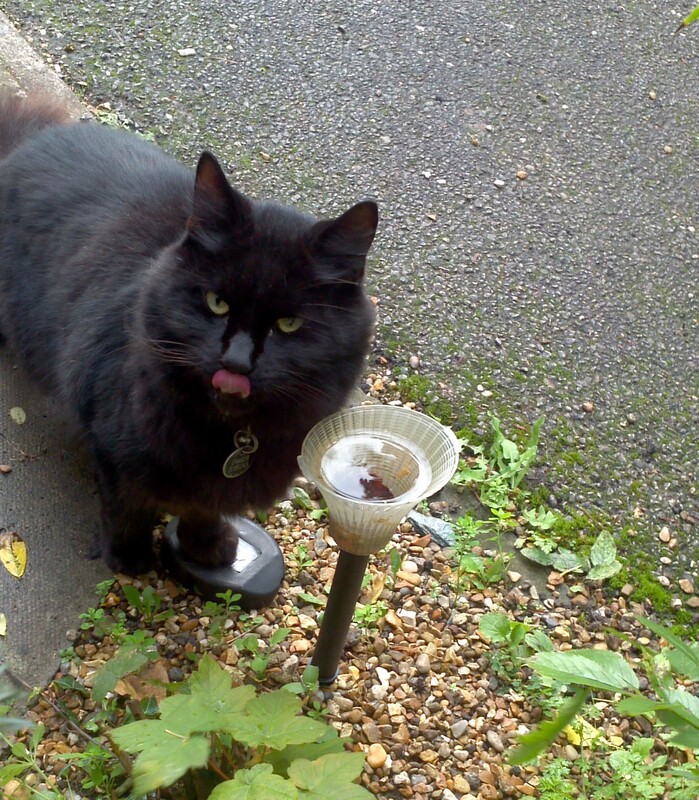 There he was having a drink from one of our solar lights. Not sure how he got the top off though, maybe Bunk stumble over it the day before or one of us simply knocked it off as we passed (looks suspiciously at Mark). However it happened, it happened and the light itself was now full of fresh rainwater. I like hoe Ode poses for a picture too. ‘Yes, I’m a genius, take your picture and move along human’. How smart of him.. He’s right though. Handy height, and nice seasoned taste!